Beginning of Spring.. New beginnings.. Returning of Light and Colors.. Awakening from the winter's slumber.. Fresh starts.. Planting of new seeds and paths of Life! Do you feel the creative juices awakening within you!? It's the Divine Mother waking us up, and gently breathing into our hearts the Beauty and Sacredness of Life! March 8th is an International Women's Day , and is another opportunity to celebrate women around the world! Being raised in Russia, where it is a national holiday, it's been one of my favorite festivals, when the Divine Feminine was so widely praised. Even though it wasn't officially proposed this way, every aspect of the day was a reminder and celebration of women of all ages(from a little girls to a grandmothers; in kindergarten, middle school, college, work place, home, etc. ), and demonstration of respect, appreciation and love towards them. 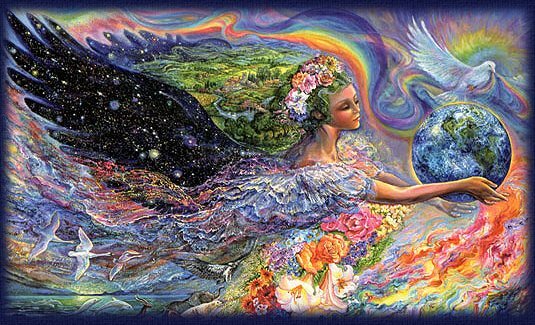 Our world needs more love and nurturing, and awaken Divine Feminine - Empowered Women! The empowerment doesn't come from outside, but from within our hearts. It's with realization and acceptance of our inner beauty we become powerful. Let's honor and praise that! I invite you to join women and men around the world, through public or online gatherings, or in the silence of your own heart connecting through the field to everyone, and celebrate the Divine Mother, the Feminine principle of Life, the Creative Power of the Universe that lies within all of us(men and women), so we can bring more harmony and balance into out Lives! "Power is Beauty. Beauty is Power. Power/Beauty is the living out of one's essence. It is not power 'over' or power 'in order to', but being 100% oneself, and living in the truth of who you are. Since beauty is the outward manifestation of one's essence, every being is beautiful when expressing this essence.Beauty/Power is life in action, truly, it is life manifesting itself. Judgment by outward appearances, the Yang way of looking at the world, is action or product oriented. This entirely misses the point. Living by judgment and measurement of one another, which is how you have been taught to live, goes counter to the expression of the life force within you. This way of living has caused undue suffering; it is destructive rather that life changing. It is time for the world to return to nurturance, love and comfort of the Mother. Conquest and aggression have been taken as far as they can go without destroying all life. Energy must now turn to supporting life - to greater compassion, greater understanding, to building wisdom rather than to accumulating knowledge. The energy of life must move. There must be new goals now: life affirming, life enhancing goals that deepen the experience of being human. So that the days one lives are good days, valued days, even looked forward to. Looked forward to because one feels loved. Because one is Love! Anyone who is at the crossroads of life, physically, emotionally or spiritually, or anyone who cannot get further than they were before needs Network Care (or NSA) to help their brain and Nervous System(Operating System) to move from stress physiology and defense posture into safety and growth. Join Dr. Tatiana Agafonova, NSA practitioner and Wellness enthusiast, and learn how NSA helps reorganize the patterns of tension that hold us in defense, how NSA changes our behaviors and perceptions about ourselves and the world, and helps us to heal our wounds and become whole. Come and bring your friends to learn how NSA can benefit you and your family, and see the results of some people who already benefited from Network Care! "Your Body is the harp of your Soul, and it is yours to bring forth sweet music from it, or confused sounds". Join us for an "out-of-box thinking" presentation about Human Body and it's Metamorphosis. Expand your view about your Body and its purpose. 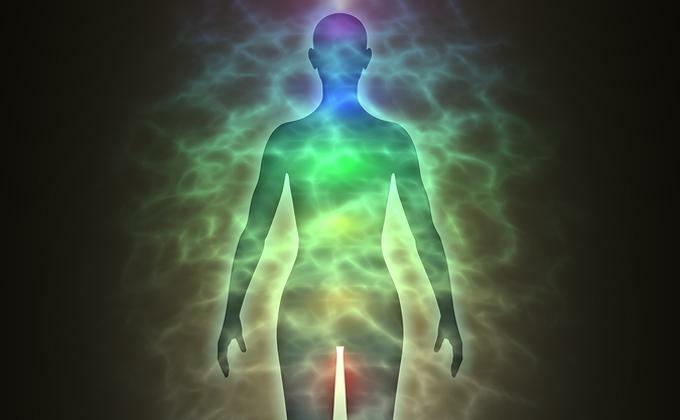 Explore the BODY's intelligence, language, emotions and structure. 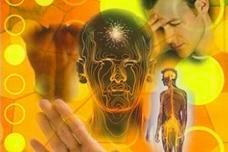 Explore how your mind creates your body and how your beliefs control your physiology. Learn how perceptions, behavior and structure are interconnected, and what is the single important key in the process of change. Presented by Dr Tatiana Agafonova, D.C., the founder of TRANSENDANCE - Center for Inspired Change, who is dedicated to inspire people to enhance their awareness, expand their capacity for change, and experience greater resourcefulness. If you are interested in attending this FREE workshop, please RSVP through the link below. Join Dr. Tatiana Agafonova, Re-organizational Healing practitioner and Wellness enthusiast, from the comfort of your home, every fourth Wednesday of the month at 7pm. Enjoy this Free online Teleclass, and receive guidance, wisdom, clarity and shift of perception that will enable you to further your progress and evolution. Bring your questions, share about your challenges, and together lets find the best solution(s), Re-organizationally speaking, unique for YOU, that will boost your Energies, shift your perceptions and will help you optimize your life experiences. Danish mystic, author, videographer and musician Lars Muhl and his wife, sound healer Githa, will make their first appearance in the United States this April. While in Sarasota, Lars will offer an evening of Deep Healing Music on April 9th at Unity of Sarasota. The film, The Seer will be shown at Burns Court on April 12th followed by an audience question and answer period. A full day workshop, "In the Stillness of the Heart: Lessons from the Seer" is offered at Unity of Sarasota on April 15th. Uncovering nine factors that can lead to a spontaneous remission from cancer and other threatening illnesses—even after conventional medicine has failed. Among those 9 there are two that hold the most power!... Article by Dr. Lissa Rankin, M.D. that pull in atoms and molecules from their surrounding environment to construct DNA..."
Article written by: Dr. Matt Kreinheder.